"WASHINGTON — The Supreme Court on Monday rejected an unusual request from the Trump administration to decide whether it was entitled to shut down a program that shields some 700,000 young, undocumented immigrants from deportation. The court’s decision not to hear the administration’s appeal was expected, as no appeals court has yet ruled on the issue. 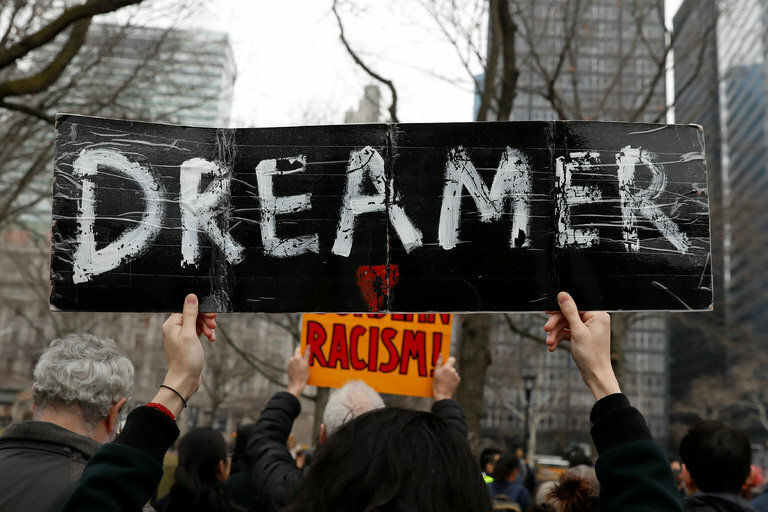 The court’s move came amid a complex political battle over immigration generally, and the program at issue in the case, Deferred Action for Childhood Arrivals, or DACA, in particular. The program shields people who were brought into the United States as children from deportation and allows them to work. The status lasts for two years but is renewable. In September, the Trump administration announced that it would shut down the program on March 5. But two federal judges have ordered the administration to maintain major pieces of the program while legal challenges move forward, notably by requiring the administration to allow people enrolled in it to renew their protected status. The administration did not seek stays of those court orders, and they will remain in place for the time being, allowing much of the program to survive beyond the March 5 deadline..."